I hadn’t even had the chance to mention it to our financial people before the pews sold! And I still have people writing and calling about them! Wow! I had my doubts when i listed, but your site really works! I’m going on a long overdue (by 30 years) honeymoon this weekend, so I will leave the message with the ladies who sign the checks. Thanks again! This letter is to thank you for your usedpews.org ministry. We listed our pews not that long ago and they are sold and will be picked up in about 10 days. I do not know how we would have gotten work out if it were not for your website and service. I really want to share our church’s experience with you, about your website. What a blessing it has been! Let me give you the short version of our story. A year ago, at the end of January, we lost our church house to arson. By a parishioner. Who we all knew and loved. Someone who was mentally ill and had recently refused to take his medications. The loss was more than total. “My God, my God, why have you forsaken me…..” I tell you, those words were heavy in my heart that rainy Sunday morning as we arrived at church only to see the destruction. But, God had a plan. We moved into a newly built, beautiful church in February this year. Just over a year after the fire, we are so grateful for the abundance that God has sent our way! This is where you come in. Someone had mentioned your site to me. For about six months, I prowled it every morning, searching for pews that were: 1. in our area, 2. the right size and 3. in the best condition we could find. Then it happened – I saw the listing that KMC Hollywood had posted. Almost the right length, the correct number of pews, the right color, they even had an Orthodox Christian budded cross carved on the ends of each pew. It was a Thursday. I drove up to Hollywood the next morning at 5:00 so as to beat the traffic, saw the pews and bought a very short one to take back to our Parish Council meeting the next evening. At this meeting, we voted a resounding “YES!” to presenting them to the parish after Liturgy the next day, Sunday and if we could raise the needed funds asap, to go ahead and buy them. The next morning, just hours after presenting this little pew to everyone, the necessary funds were pledged and I called KMC Hollywood to let them know we wanted them. Another parishioner and I rented a 26′ U-Haul (! ), arranged through Craigslist to hire two movers to help load the pews, and on Wednesday morning, again hit the road at 5:00 a.m. It was all I could do to not paste a banner on the side of the truck saying, “We’re on a mission from God!” or “Will pray for Starbucks gift cards!” But I digress. After some pretty tricky backing-up, we were good to go with the loading. This is where more miracles start coming in. We fit all 28 pews into the U-Haul. Seriously, it was an act of God. Even the pulpit that KMC threw in for free, fit in! As we were staring at wonder at the loaded U-Haul, I turned to the KMC representative, (KMC is short for Kadampa Meditation Center, they had purchased a church for their facilities, and as a Buddhist meditation center, they use the floor and not pews) and said, “Look – your pews are being reincarnated!” God is so good that He made it right for both us, and them. When we arrived back at our parish, there was a crew of pew unloaders, cleaners and movers. In less than a week from start to finish, we had a church full of perfect pews. As a side note, we thought we would need to cut them down by a foot or so. Turns out, the length is perfect! They did not, however come with kneelers, which is important in the Orthodox Christian faith. When I contacted the company we had been working with about buying new pews, Cardinal Church Furniture, about having the kneelers put on, they asked that I send photos to see what they were dealing with. Here comes another miracle. When the owner saw them, he wanted to know where we got them. I told him about Usedpews.org and the rest of the story. He told me that his own father, the founder of the company, made those pews over fifty years ago. And that just a few years ago, they refurbished them for the church where we bought them. Yes, God is so good. Thank you for your site. I hope that more churches learn of the blessing that you truly are. Because of you, we have outfitted our church with beautiful seating, at one-third the price of buying new. From a fire of a year ago, we have risen. To be a shining beacon of Christ’s love in eastern San Diego county. My pews were spoken for within 24 hours. A woman from North Jersey had them picked up by a huge semi truck. They were taken to a ship yard and loaded into a container. All 27 pews are on their way to Ghana to her brother’s church. Blessings all around! Thank you for the service you provide. I must have gotten 2 dozen calls. Please remove the pews from the listing. Thanks for everything Usedpews.org Is great and we successfully sold the Church pews by the end of may! Thank You. You folks have been great to work with. We have recommended you to several other churches. I am writing to thank you for helping us to be a blessing to TBOC Ministries here in Houston. 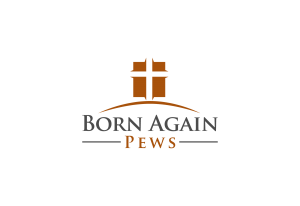 Our used pews were listed on your site for only a few days before Pastor Perry contacted us and arranged to pick them up. Good morning. Please note that we have now sold the pews and chairs we listed on your website. We are delighted that not only our church but several other churches have been able to fill their needs through the ad we posted on your website. You provide a wonderful service to faith communities. Our church in North Georgia advertised donating our pews on your website. Within two hours we had already received inquiries and received over 40 in all over the course of about two weeks. We even received a request from Manila. Thanks to your service, another church has been blessed. I appreciate what you do for our wonderful Lord. We have been receiving calls from all over since advertising with your site; I didn’t expect such great results! A church has made a deposit on all of our furniture to be picked up in a few weeks. Thank you so much for this great service. Greetings to you in the name of our Lord Jesus Christ. The Living Word Center Ministries in Newark New Jersey wants to express our gratitude to your organization and the Jewish Community Center in Flemington New Jersey for your wonderful blessing to our church. One month after registering on your site we were blessed with nine wonderful pews. When we went to sell our pews, people asked me how I was going to sell them. I told them I listed them on the web at www.usedpews.org. They laughed at that the notion that someone would ever even look there. However, in early fall, we listed our pews through your service, and they all sold within a couple of weeks. Then everyone laughed a laugh of joy. It was a fantastic tool for us and we are really grateful for the ministry niche you have discovered and provide. Now, we have listed another piece for sale, and within a week we received a contact and a resulting sale!! Thanks so much for your ministry presence and for facilitating such a great networking tool. Trust me, I talk about Gabriel ministries and used church furniture. Thank You very much…we have sold our pews….2 Days after listing we had someone call. They came and looked and bought them!!!! Hi, Can you remove the rest of our items now as we have sold everything. Your site was a blessing for our church I don’t know what we would have done without it. GOD bless you for your work and devotion to all that use your site. Thanks again. This is to let you know that we sold our pews today. A church in Toronto, less than an hour’s drive away, has purchased them. Thank you for your services. We really appreciate the fact that our pews were sold so quickly and that we were able to assist another church. Please mark all of our pews SOLD! We are very grateful for the service ministry that you provide. We had lost hope of selling our longest pews but an offer came in last week for all of them! We need to remove our listing for pews…. Within 4 hours of your posting, we donated all 61 pews to a church about an hour and a half away. Set 5854 - GONE IN 4 HOURS! I need to delete set #5837. They have been sold and I want to thank you for your web site. Very quick selling on this site. This site was a God send for our church. We were wanting to do some things and had to sell some pews to get it done. We tried other sites to try and sell them, to no avail. When we found out about this site we put them on it and they were sold in 15 days. We had many calls and we are grateful for all of those that were involved in helping us. I’m happy to say that we sold our pews, thanks in large part to your website. We received our asking price and are on our way to refurnishing our chapel space. I am so very pleased at the results! Thanks, again, for the service you offer. Your service is working too well – I have had tons of interest in the pews. Please take the posting down as I don’t want to disappoint people. I can’t tell you how much your service is appreciated! We have had a TON of calls! Good job! a newer and growing church from our own town of Gillette in Wyoming! their work for the Lord. all the glory to Christ. the scam to be of Nigerian origin. sell, or purchase church furniture. We have sold the last of our available pews, and would like to thank you for making it all possible!! We may fellowship again together in the near future, as we have some tables and cushioned chairs we are thinking of selling. Until that time, may God continue to bless your ministry!! We have found a church to donate these pews to. Thank you so much for your help. You may remove this posting from the web-page. I do want to give a testimony about your website. Our church started in a basement and soon moved to a store front. After we grew out of the store front, the Lord seen fit for us to find an old warehouse to hold church in. We had to spend so much to get it presentable and couldn’t afford pews. We went to your website and found a church that was looking to donate their old pews. We drove to Raleigh, NC to pick these pews up. These pews have been a great blessing! The Lord has now provided us with an opportunity to purchase new pews and we wanted to share the blessing. I am happy to say that the Lord has used your website to bless yet another church with the pews that were donated to us. Thank you again for your ministry. I will discuss with our pastor about a donation to your ministry. It has certainly been a blessing. Thank you so very much for your service in dealing with Church furniture. We got an excellent response and could have sold the pews several times. They were delivered this last week so you can mark them sold. Again thank you for helping our Center in getting our pews sold. May God continue to bless you for your service. This message is to let you know that, thanks to your ministry, we have sold our pews. Rev. Scott told me that you had a 94% success rate with your listings, and I think that statistic must be too low! We listed our pews on a Friday, made a deal on Tuesday, and the buyer drove from 3 states away to pick them up on Sunday. What a mighty God we serve! Our church can’t thank you enough for being there for us to put us in contact with people we otherwise would have never had the resources to connect with. You have truly been a blessing to our ministry and we can only pray that the modest donation we gave you is a seed into the tremendous growth and prosperity you are destined for. Thank you again for your help! What a blessing your ministry has been to our church….Durkeetown Baptist Church. You can list our chairs as sold in only 1 day to a honorable, blessed, and generous pastor from Brooklyn, NY! by driving 4 hr, one way, to deliver them in person.